(Bloomberg Opinion) -- When even leading economists are questioning the very idea of capitalism, you know the system is in trouble. In a recent article, Nobel economics winner Angus Deaton reviewed two books by other distinguished economists -- Raghuram Rajan and Paul Collier -- that argue that capitalism is fundamentally flawed. Rajan laments the demise of local communities in the face of big government and mass markets, while Collier discusses the tendency of meritocracy to concentrate talent and money. Meanwhile, income and wealth inequality is at the center of the well-known critique of capitalism by economist Thomas Piketty. Some critics of capitalism argue that the problem is monopoly power, while others say that capitalism is the culprit behind climate change. These critiques of the modern economy have some validity. But in the rush to bash capitalism -- or to capitalize on the sudden unpopularity of the term -- the critics haven’t done a good job of defining what capitalism means. Does it mean private property? Private ownership of industry? Market economies? Public asset markets and joint-stock ownership? Often, the term capitalism seems like simply a stand-in for whatever market-like features of modern economies someone doesn’t like. The really important question, therefore, is not whether capitalism is broken, but what should be done to fix the U.S. economic system. For much of the 20th century, the big idea was to construct an alternative system -- socialism, communism or anarchism -- from the ground up. But that approach largely failed, for any number of reasons. Economic systems are complex constructs that evolve over time -- even a very smart group of people is going to make huge mistakes if they try to engineer something totally different. And the implementation of radical social change is never easy -- revolutions tend to be violent and chaotic, and the people who wind up in power are often those who are most concerned with preserving their dominance rather than providing for the material welfare of the people they rule over. Instead, it seems overwhelmingly likely that the most successful approach will be to modify the current system -- to reform rather than revolt. Whatever the result, it will be a mixed economy, where government and the private sector’s roles are both altered somewhat to address the most pressing issues. The second thing Americans need is cheaper education and child care. With dual incomes having become the norm, most two-parent families are exposed to the soaring cost of child care. 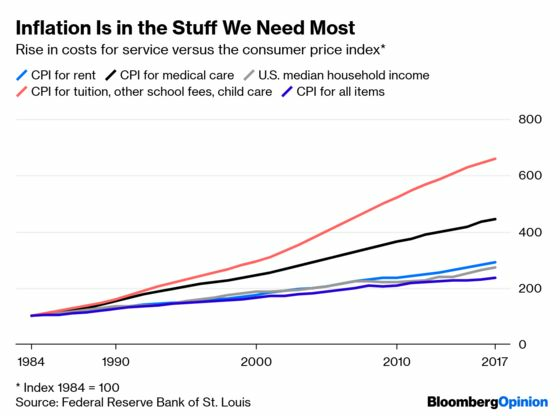 And with a college degree having become ever more crucial for upward mobility, rising tuition has become a formidable barrier to higher education. Subsidized child-care services coupled with increased child-tax credits can help parents stay in the workplace, while there are many steps that can be taken to make higher education more affordable for lower- and middle-income Americans. 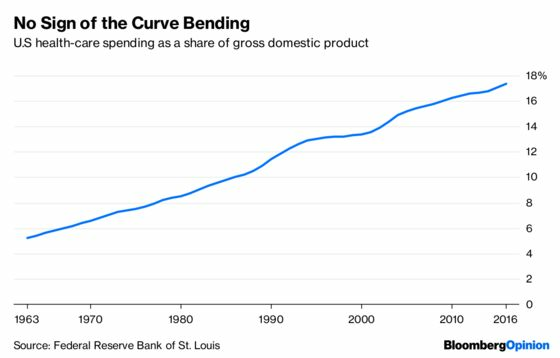 Would greater environmental sustainability and cheaper health care, child care, tuition and housing be enough to make Americans feel like capitalism -- or more accurately, the mixed economy -- is once again working in their favor? It might. And unlike the daunting task of building an entirely new political and economic system from the ground up, these fixes are feasible and fairly well-understood. Before deciding that capitalism -- whatever that even means -- needs to be dismantled, try addressing the sore spots.